LAHORE: The 22nd death anniversary of progressive poet Habib Jalib was observed in the city on Friday, where several seminars and conferences were held to pay tribute to the outspoken poet of his time. A ceremony was organised by Habib Jalib’s daughters at Gaddafi Stadium, Hall-II, which was participated by a large number of people, including Asma Jahangir, Tahira Habib Jalib, Naheed Khan, Zawar Comrade, Yasir Habib, Hur Abbas Naqvi, Hur Bukhari, Taimur Rahman, IA Rehman and others. Speakers at the event while paying tribute to the legendry poet said that Habib Jalib is still remembered as people’s poet who wrote lyrical poetry for the people. He never put his pen down before the wrongdoings of the rulers of his time; whether it was a civilian rule or a military dictatorship era. Another conference was organised by the Habib Jalib Memorial Foundation at Alhamra Arts Council to remember the late poet’s life and struggle against military regimes. Speakers highlighted the life of legendary progressive poet Habib Jalib and urged the young generation to read more poetry of Jalib and set a new precedent in today’s era against wrongdoings prevailing in our country. They said Habib Jalib fought against military regimes and ruthlessly pointed out the unlawful activities of the then rulers, surely he was the people’s poet who wrote only for the people. 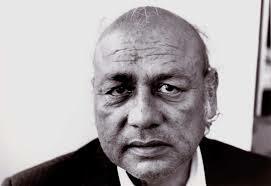 Habib Jalib was born in 1928 in Hoshiarpur district of Indian Punjab but later migrated to Pakistan once Pakistan came into being and connected himself with the then newspaper Daily Imroze Karachi. He had witnessed the hardships of two military regimes of Ayub Khan and Yahya Khan. He died on March 13, 1993.